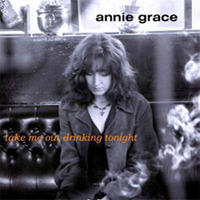 Annie Grace’s richly abundant talents on vocals, bagpipes and whistles have featured in numerous projects over the years. In constant demand as a musician/actor, she has finally managed to take time from her busy touring schedule to create a stunning new recording. On her second solo album The Bell, her talents shine. 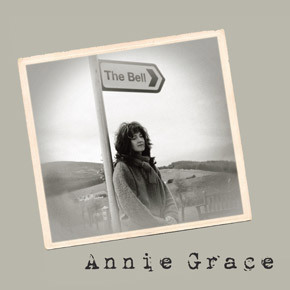 Following on from the success of her 2004 album “Take me out drinking tonight” The Bell is a beautifully crafted collection of original, traditional and contemporary songs, infused with tinges of folk, jazz and blues. In the opening track, Sandy Denny’s 'Solo' her voice intertwines with harmonies as she sings of self-fulfillment. She covers topics from peace in 'The Bell' (co-written with American singer/songwriter Aimee Bobruk in the Burnsong house 2011) to the sadness of missing Scotland in 'The Exile's song'. The Bell is musically diverse and compelling listening. Annie’s voice is both strident and achingly emotive, as in the self-penned "Little Bird", performed live with piano. Her poignant lyrics and haunting vocals resonate with a moving message of love, loss and loyalty. The beautifully constructed arrangements, instrumentation and musicianship are performed by her band; Jonny Hardie and Aaron Jones (Old Blind Dogs), award- winning musician Aly Macrae and guests Nigel Hitchcock on alto sax and Kevin McGuire on double bass. This is an album showing Annie at her confident best. Her depth of talent, musicality and her captivating, warm, earthy voice combined with her love of performing, shines through. This album shows a musician who is at her mature and confident best and who is not afraid to take chances. Traditional songs have been reworked and sparkle alongside new numbers. Annie underlines her reputation as a superb exponent of the whistle while having cracking support from her band: Aly MacRae (guitar, piano and a plethora of other instruments), Aaron Jones (bass), Davy Cattanach (drums, percussion) and Gavin Marwick (fiddle), with the boys also providing excellent backing vocals on selected tracks. The material ranges from haunting songs such as Land o the Leal, while the title track (written by Michael Marra), is given a beautifully relaxed, almost country, feel.